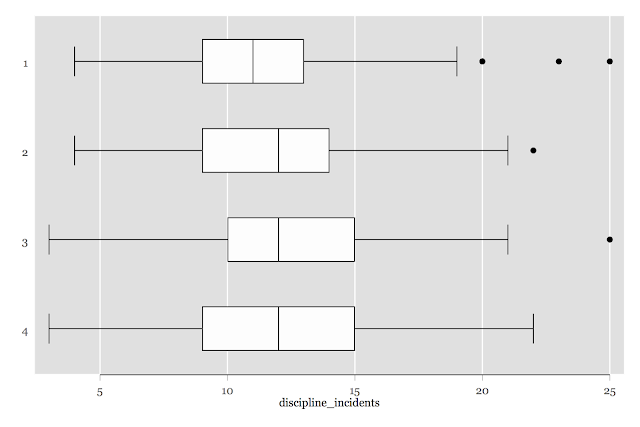 John Tukey contributed many things to statistics and data visualizations (box plots!). I also cannot help thinking "TuRkey" every time I read or verbalize his name. 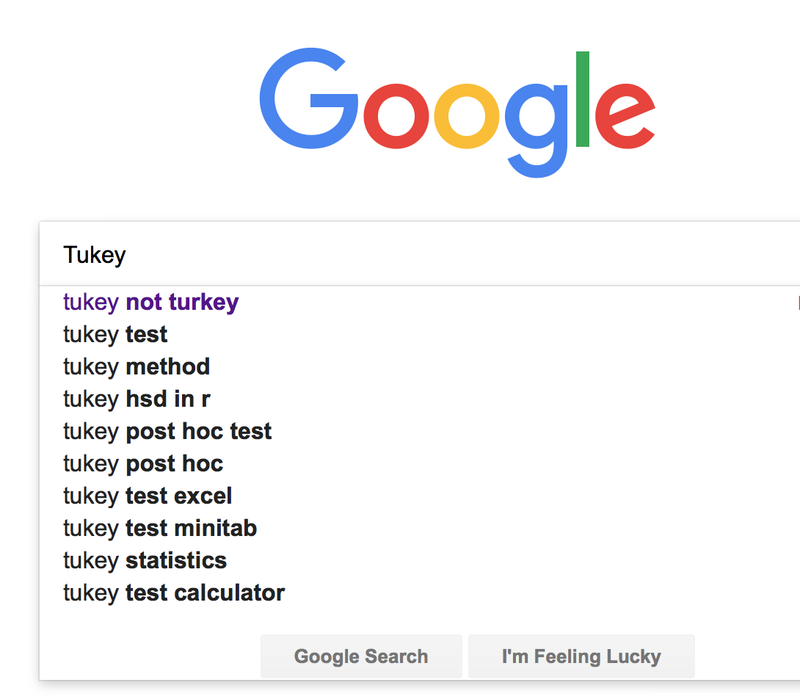 In my (biased, failable human) mind, the frequency with which I think to use Tukey methods in my own work, and the potential for an embarrassing Tukey-TuRkey switch during regular communication, increases across the year to look something like the figure to the right. See - it's not just me who mixes these up. Let's just get to the code. To run the code below, copy and paste into a data editor (sans the annotations and commentary). 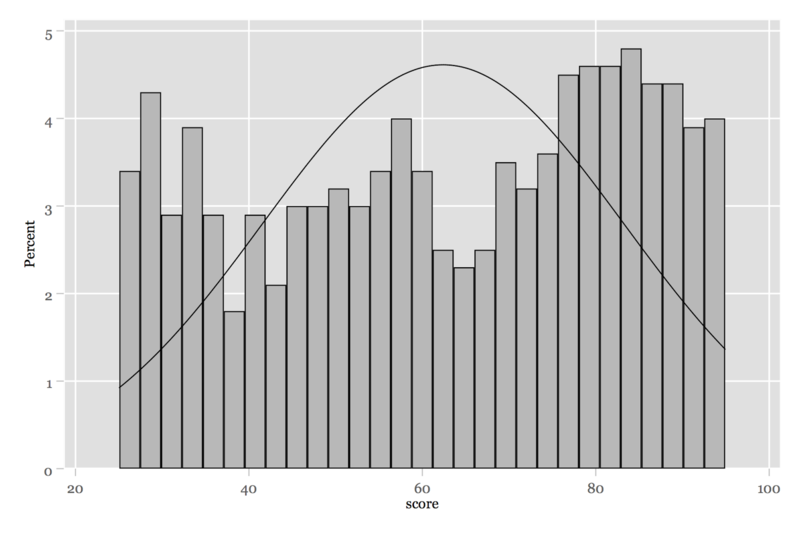 hist score, scheme(plottig) normal xlab(20(20)100) percent //get the plottig scheme from SSC! 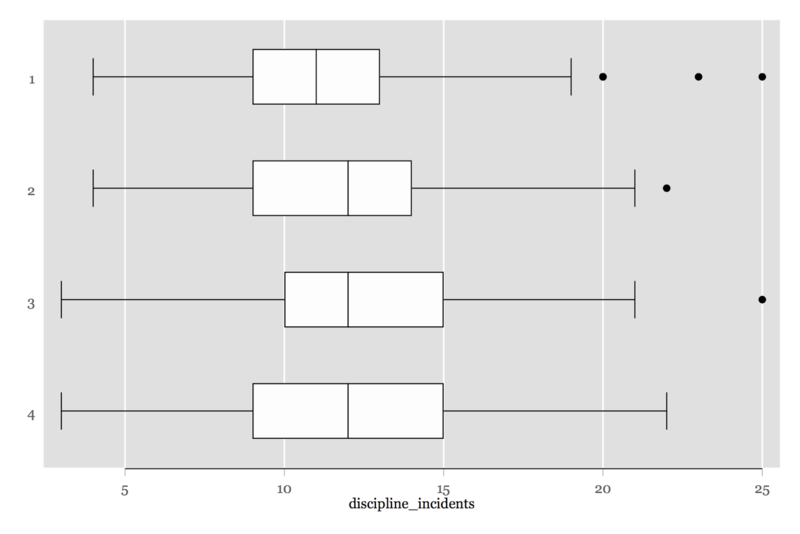 Before we get to Tukey methods of examining outliers and making multiple group comparisons, here's a quick reminder of some ways to examine outliers via residuals and leverage. 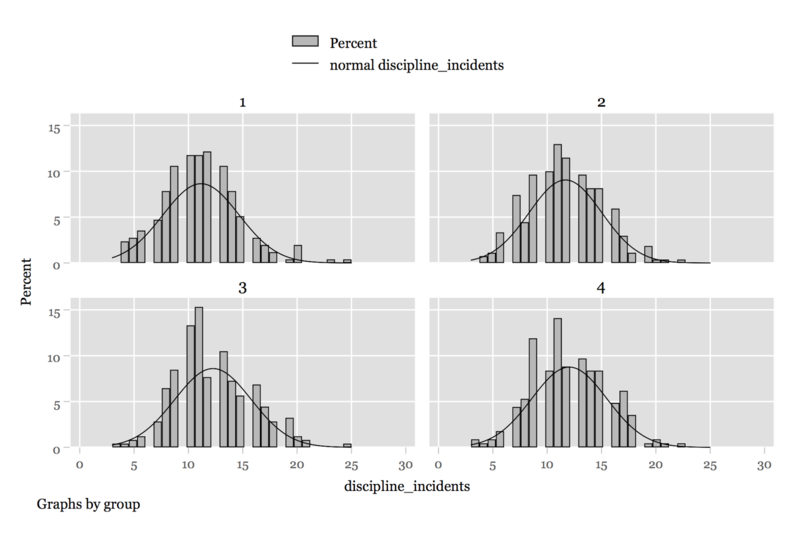 How influential are the discipline incident outliers? The Tukey method for multiple group comparisons is useful even when cell sizes are unequal. 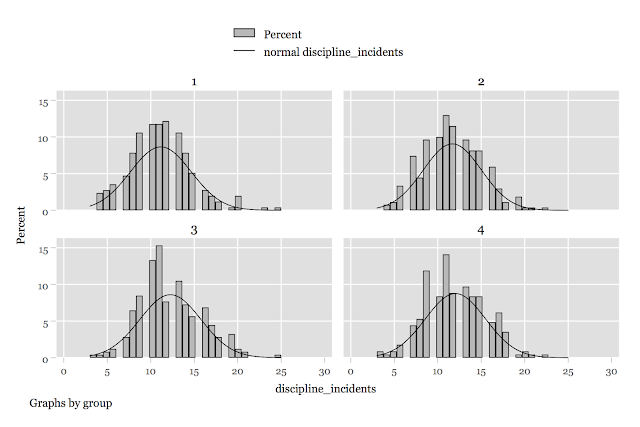 In the output for the simulated student data, Comparisons 1 versus 3, and 1 versus 4 were significant (except for Scheffe) (n.b., the Tukey and the FH tests are the same but they use different critical values of the Studentized range distribution). Happy TuRkey, not Tukey, Day!